Contemplative Country-Rock with a laid back old-school Country feel reaching to modern Country roots. Former EPIC Records artist releases the next in a line of CD's chronicling his life long journey from Harlan County, Kentucky to his present home in Arizona. This CD contains songs that are personal, reflective, and hopeful. 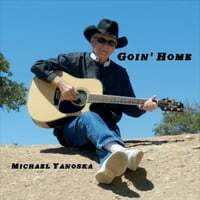 Goin' Home has an Old-School Country feel with Modern Country influences.